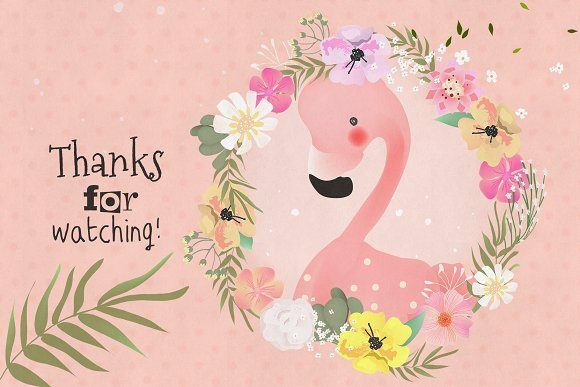 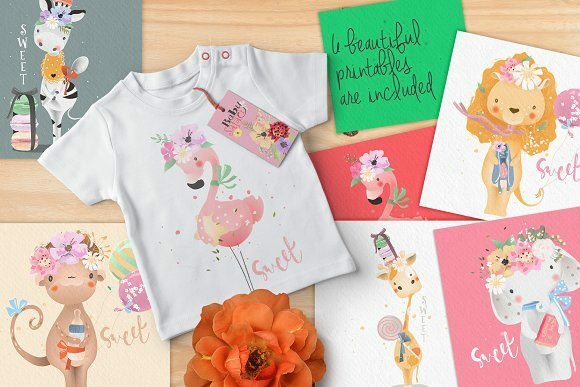 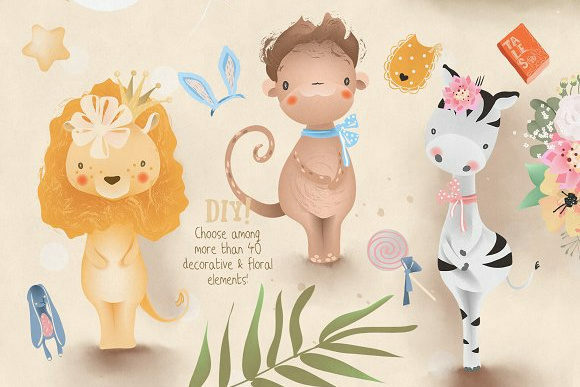 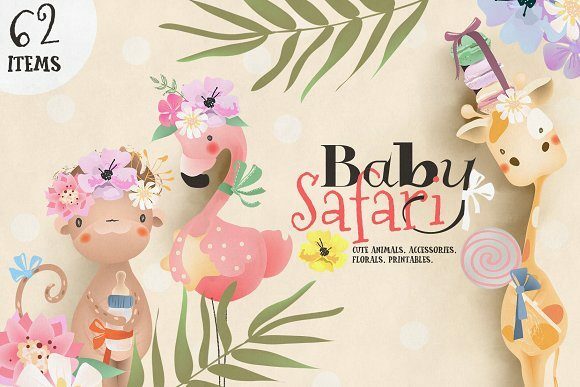 Baby Safari Collection Beautiful clipart with adorable baby animals & decorations, accessories and florals! 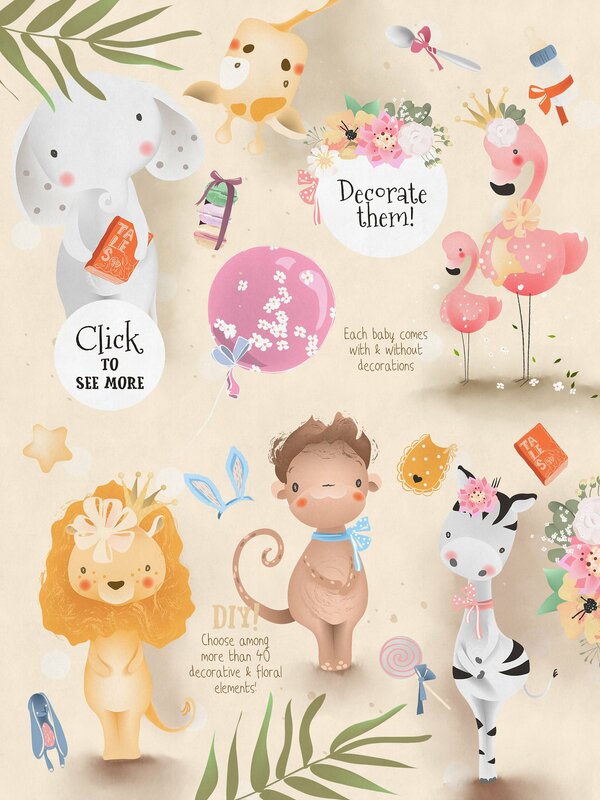 62 cute items which any child will love. 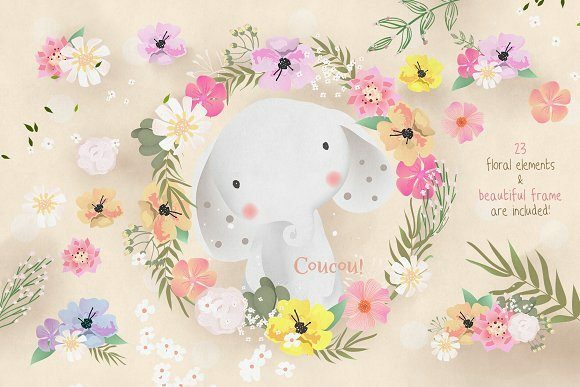 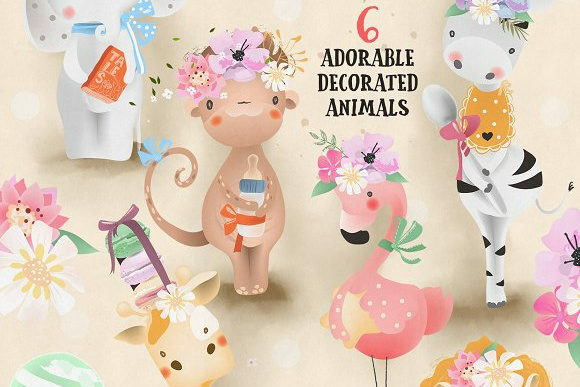 Collection contains pre-decorated animals, more than 40 accessories and decorative elements, florals and beautiful frame for your projects. 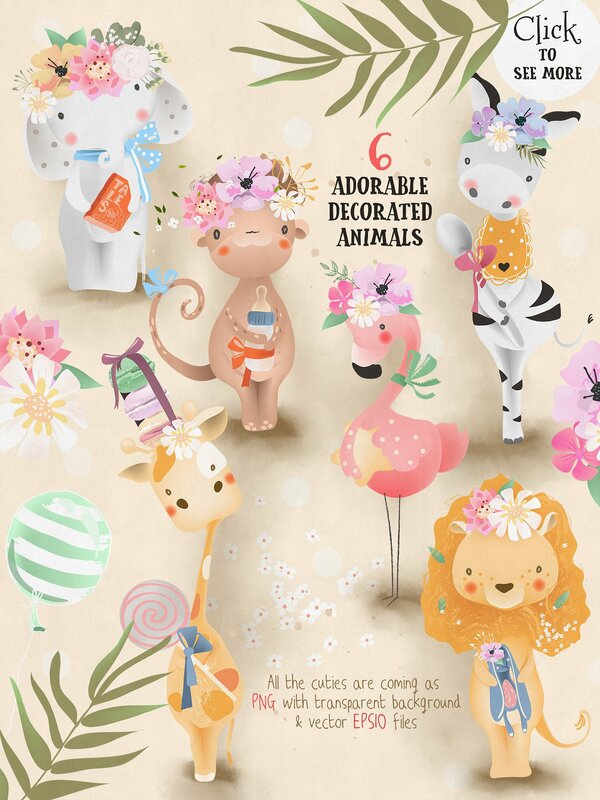 Each animal and design element are PNG with transparent background & vector EPS10 files.